Walmart as well as US government seem concerned over States’ veto power the states have over the Foreign Direct Investment. They have conveyed their concerns, to the union government of India. Walmart remain cautious to enter Indian Market as the states are given Veto Power. 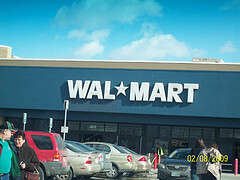 Wal-Mart Stores, Inc.; generally branded as Walmart, an American multinational retail corporation, as well as the US government has revealed their concern over the veto power conferred to the states by the Union Government of India. Union Government’s decision to confer absolute power to the states; to decide on the matters related to the foreign retailers’ entry into their states, is seen as a barricade for the foreign investors.